Holy Basil essential oil has been widely used in Ayurveda system in India. The oil is primarily gathered by distillation for the purposes of natural medicine, aromatherapy, and spiritual practices. When used in aromatherapy, its sweet and warm aroma stimulates the senses and renews the energy. Its effect is somewhat similar to Basil and Clove essential oils. Simply dilute and diffuse in a room for a cozy atmosphere. This holy oil is also a favorite ingredient for scents especially made for men. Learn more about Holy Basil Essential Oil or find a great deal on the best selling Holy Basil Oil from the items below! Silky Scents EO140-1OZ-30ML Basil Holy Essential Oil 100 Percent Pure Therapeutic Grade - 30 ml. Blends well with: Lavender 40/42 Clary Sage Thyme White Cedarwood Atlas Bergamot Geranium Orange Sweet and Rosemary. History: Basil originates from India where it was used as a sacred herb for many centuries. It was said to strengthen faith compassion and mental clarity. Holy basil is known as the herb of the Goddess Lakshmi. In India basil is dedicated to Vishnu and is regarded as the incarnation of his wife Lakshmi goddess of fortune and beauty. Tulsi is also called upon for life and death for various acts of life and above all for giving children to those who want them. According to tradition Holy Basil protects from unfortunate destinies and evil spirits. This Essential Oil is considered a sacred herb in India where it has been planted around doorways to banish evil spirits. In various parts of the Orient it is planted around temples and used in prayer beads. 100% Pure Essential Oil Capacity - 30 ml. 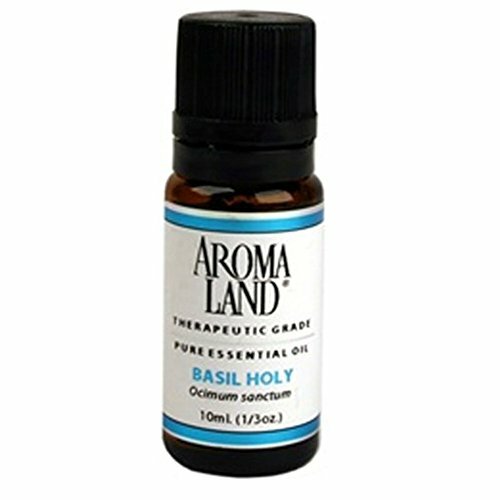 Silky Scents EO140-5ML Basil Holy Essential Oil 100 Percent Pure Therapeutic Grade - 5 ml. Blends well with: Lavender 40/42 Clary Sage Thyme White Cedarwood Atlas Bergamot Geranium Orange Sweet and Rosemary. History: Basil originates from India where it was used as a sacred herb for many centuries. It was said to strengthen faith compassion and mental clarity. Holy basil is known as the herb of the Goddess Lakshmi. In India basil is dedicated to Vishnu and is regarded as the incarnation of his wife Lakshmi goddess of fortune and beauty. Tulsi is also called upon for life and death for various acts of life and above all for giving children to those who want them. According to tradition Holy Basil protects from unfortunate destinies and evil spirits. This Essential Oil is considered a sacred herb in India where it has been planted around doorways to banish evil spirits. In various parts of the Orient it is planted around temples and used in prayer beads. 100% Pure Essential Oil Capacity - 5 ml. Silky Scents EO140-15ML Basil Holy Essential Oil 100 Percent Pure Therapeutic Grade - 15 ml. Blends well with: Lavender 40/42 Clary Sage Thyme White Cedarwood Atlas Bergamot Geranium Orange Sweet and Rosemary. History: Basil originates from India where it was used as a sacred herb for many centuries. It was said to strengthen faith compassion and mental clarity. Holy basil is known as the herb of the Goddess Lakshmi. In India basil is dedicated to Vishnu and is regarded as the incarnation of his wife Lakshmi goddess of fortune and beauty. Tulsi is also called upon for life and death for various acts of life and above all for giving children to those who want them. According to tradition Holy Basil protects from unfortunate destinies and evil spirits. This Essential Oil is considered a sacred herb in India where it has been planted around doorways to banish evil spirits. In various parts of the Orient it is planted around temples and used in prayer beads. 100% Pure Essential Oil Capacity - 15 ml. Organic India Tulsi Tea Original are made from three sacred varieties of Tulsi with potent restorative powers are blended to create this delicious, calming, yet energizing tea with hints of lemon and citrus from Vana Tulsi. Tulsi (also known as Holy Basil) makes a delicious and refreshing tea that possesses wonderful health benefits that support the body's natural immune system while relieving the body's negative reaction to stress. All our products promote wellness and are certified organic. Organic India is committed to responsible packaging. The tea package carton is made from 100% recycled paperboard, with a minimum of 30% post-consumer content. Our tea bags are made from unbleached, biodegradable fiber. 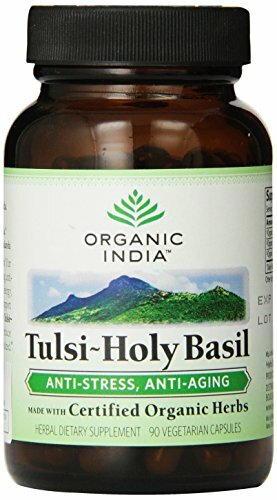 Organic tulsi oil 0.34 ounce from organic India tulsi-holy basil 100% pure certified organic therapeutic essential oil organic India's tulsi-holy basil essential oil is made from a blend of our own organically-grown Krishna and rama tulsi (ocimum sanctum) varieties. We use steam distillation to produce our tulsi oil- there are no chemicals or solvents of any kind. With an earthy, herbaceous presence and hints of clove, licorice, mint and lemon, tulsi oil's strong aroma invokes mental clarity, peace of mind, and heightens consciousness. 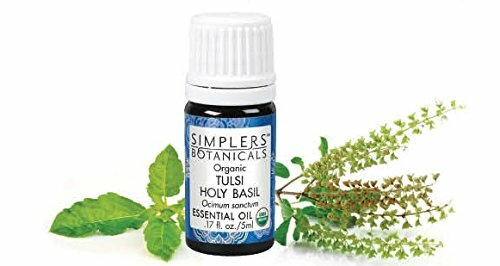 Tulsi Holy Basil Organic by Simplers Botanicals 5 ml Oil Tulsi Holy Basil Organic 5 ml Oil Considered a sacred plant in India for purification of mind and body and to heighten spiritual awareness. Uplifting clarifying licorice and clove-like aroma. Useful aromatherapy for refreshing respiratory passagess or when health and wellnes are a focus. Commonly used in massage blends targeting stress or nervousness. Country of origin India Ingredients 100 organic Tulsi (Ocimum sanctum) essential oil. Directions Dilute properly before application. Keep out of reach of children. Avoid contact with eyes. Store in a cool dark place. Warnings Keep out of reach of children. As with all dietary supplements consult your healthcare professional before use. See product label for more information. Basil, Holy Tulsi (Ocimum sanctium) Pure Essential Oil: Fresh and sweet, warm, spicy, reminiscent of clove and anise, though not as pungent as other basil varieties. A fresh, cooling, minty, slightly smoky scent. Resembles basil commonly grown in the western countries and used for Italian cuisine. Holy Basil is considered a sacred plant in the Hindu religion. It has been called the "Queen of Herbs" and "Mother Medicine of Nature." It is believed to be capable of promoting a longer life by nurturing personal growth. Used in many skin treatments, it is particularly effective in soothing and softening the skin. Apply 1-2% in a carrier oil for application. Blends well with Lavender, Clary Sage, Thyme, Cedarwood, Bergamot, Geranium, Orange, Rosemary. Dilute with Sweet Almond Oil for direct skin contact. May be a strong skin irritant, so avoid when pregnant. Use in low dilutions. Do not use with children. May inhibit blood clotting. May lower blood sugar and has mild blood thinning properties. May interact with pethidine, MAOIs or SSRIs. Avoid if you are currently taking an anticoagulant medication, if you are going to have major surgery, or if you currently have peptic ulcers, hemophilia, or another bleeding disorder. Extracted through steam distillation of leaves. Originates from India. Biosource Naturals is founded by a naturopath, aromatherapist, EFT practitioner, Reiki Master. Therapeutic Quality. We supply pure essential oils verified by GC and/or other QC testing. 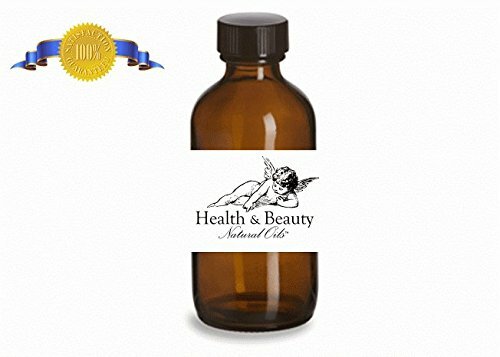 Biosource Naturals Basil, Holy Tulsi (Ocimum sanctium) Pure Essential Oil: Fresh and sweet, warm, spicy, reminiscent of clove and anise, though not as pungent as other basil varieties. A fresh, cooling, minty, slightly smoky scent. Resembles basil commonly grown in the western countries and used for Italian cuisine. Holy Basil is considered a sacred plant in the Hindu religion. It has been called the "Queen of Herbs" and "Mother Medicine of Nature." It is believed to be capable of promoting a longer life by nurturing personal growth. Used in many skin treatments, it is particularly effective in soothing and softening the skin. Apply 1-2% in a carrier oil for application. Blends well with Lavender, Clary Sage, Thyme, Cedarwood, Bergamot, Geranium, Orange, Rosemary. Dilute with Sweet Almond Oil for direct skin contact. May be a strong skin irritant, so avoid when pregnant. Use in low dilutions. Do not use with children. May inhibit blood clotting. May lower blood sugar and has mild blood thinning properties. May interact with pethidine, MAOIs or SSRIs. Avoid if you are currently taking an anticoagulant medication, if you are going to have major surgery, or if you currently have peptic ulcers, hemophilia, or another bleeding disorder. Extracted through steam distillation of leaves. Originates from India. Biosource Naturals is founded by a naturopath, aromatherapist, EFT practitioner, Reiki Master. Therapeutic Quality. We supply pure essential oils verified by GC and/or other QC testing. Biosource Naturals Basil, Holy Tulsi (Ocimum sanctium) Pure Essential Oil: Fresh and sweet, warm, spicy, reminiscent of clove and anise, though not as pungent as other basil varieties. A fresh, cooling, minty, slightly smoky scent. Resembles basil commonly grown in the western countries and used for Italian cuisine. Holy Basil is considered a sacred plant in the Hindu religion. It has been called the "Queen of Herbs" and "Mother Medicine of Nature." It is believed to be capable of promoting a longer life by nurturing personal growth. Used in many skin treatments, it is particularly effective in soothing and softening the skin. Apply 1-2% in a carrier oil for application. Blends well with Lavender, Clary Sage, Thyme, Cedarwood, Bergamot, Geranium, Orange, Rosemary. Dilute with Sweet Almond Oil for direct skin contact. May be a strong skin irritant, so avoid when pregnant. Use in low dilutions. Do not use with children. May inhibit blood clotting. May lower blood sugar and has mild blood thinning properties. May interact with pethidine, MAOIs or SSRIs. Avoid if you are currently taking an anticoagulant medication, planning to have major surgery, or if you currently have peptic ulcers, hemophilia, or another bleeding disorder. Extracted through steam distillation of leaves. Originates from India. Biosource Naturals is founded by a naturopath, aromatherapist, EFT practitioner, Reiki Master. Therapeutic Quality. We supply pure essential oils verified by GC and/or other QC testing. 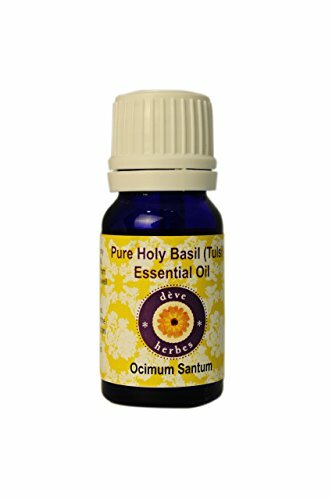 There are numerous variety of basil oils but holy basil (ocimum santum) is the real tulsi oil, which is grown in our homes the health benefits of holy basil, also known as tulsi, include oral care, relief from respiratory disorders, as well as treatment of fever, asthma, lung disorders, heart diseases and stress. Holy basil, which has the scientific name ocimum sanctum is undoubtedly one of the best medicinal herb that has been discovered. It has endless miraculous and medicinal values and has been worshiped and highly valued in our country for thousands of years. Therapeutic properties: basil oil has a watery viscosity and is pale greenish-yellow in color. The therapeutic properties of basil oil are analgesic, anti-venomous, carminative, cephalic, antidepressant, antispasmodic, diaphoretic, digestive, emmenagogue, expectorant, febrifuge, insecticide, nervine, stomachic, sudorific, tonic and stimulant. This oil plays an active role in treating colds, anxiety, infection, flatulence, fatigue, insect bites and repellant, sinus infection, bronchitis, coughs, depression, abrasions, whooping cough. However, it is made using herbal ingredients that helps in stimulating hair growth. It is also used for indigestion, stress, sinusitis, insect bites, headache, muscle relaxation, anxiety, bacterial infections, depression, panic attacks, hair loss, insomnia, menstrual cramps, intestinal problems, nausea, ear infections, massage, bathing, inhalation, diffusion and as a study aid. Promote energy and vitality with Holy Basil liquid extract from Herb Pharm. Our Holy Basil is Certified Organically Grown is carefully shade-dried, and is then thoroughly extracted. Blends well with: Lavender 40/42, Clary Sage, Thyme White, Cedarwood Atlas, Bergamot, Geranium, Orange Sweet, and Rosemary. History: Basil originates from India, where it was used as a sacred herb for many centuries. It was said to strengthen faith, compassion and mental clarity. Holy basil is known as the herb of the Goddess Lakshmi. In India, basil is dedicated to Vishnu and is regarded as the incarnation of his wife, Lakshmi, goddess of fortune and beauty. Tulsi is also called upon for life and death, for various acts of life and above all for giving children to those who want them. According to tradition, Holy Basil protects from unfortunate destinies and evil spirits. This Essential Oil is considered a sacred herb in India, where it has been planted around doorways to banish evil spirits. In various parts of the Orient it is planted around temples, and used in prayer beads. This pure Holy Basil Essential Oil (also known by its botanical name "Ocimum sanctum") was carefully steam distilled in India. Uses: Aroma blending and natural beauty & wellness products. Founded in 1986 AromaLand is known for its commitment to high, reliable quality, therapeutic grade Essential Oils and natural purity. Member of NAHA (National Association for Holistic Aromatherapy) and ISPA (International Spa Association). Tulsi means "the incomparable one" and has been used for centuries to purify and revitalize the mind, body, and spirit. The most powerful Tulsi Holy Basil essential oil is grown in India, where the oil has been revered for thousands of years. 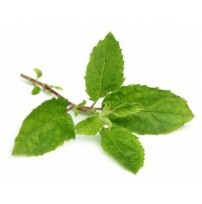 Tulsi holy basil essential oil may be diluted and used as a multi-purpose healing oil. The oil can also be used in a diffuser to purify the air and mind. Properties Perfumery Note: Top Aroma: Green, Herbacious and Clove-like Blends with: Bergamot, Clary Sage, Geranium, Mandarin, Neroli, Opoponax, and Rosemary.